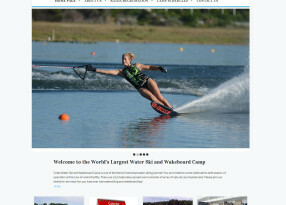 Coble’s website was built by Roaring Aardvark Web Design. The site was initially programmed using ColdFusion to give them a custom administrative back-end to login and make edits to the website. After Roaring Aardvark ‘retired’ Coble asked me to continue managing their website. We opted to refresh the look and build it with WordPress.